Taxidermy was all the rage in the Victorian era, when Charles Dickens penned some of the literature’s finest novels. While Dickens was in high demand around the world for his dramatic public readings, he loved to be at home in England with his cats, one of whom was rumored to snuff out his master’s candle for a little attention. Dickens once asked, “What greater gift than the love of a cat?” Four decades after his death, Mary Dickens reflected on various feline members of the Dickens family in her book, Charles Dickens, by His Eldest Daughter. She spent several pages on the antics of a deaf cat who exhibited exclusive devotion to her father. “He was always with his master, and used to follow him about the garden and sit with him while he was writing,” she wrote. 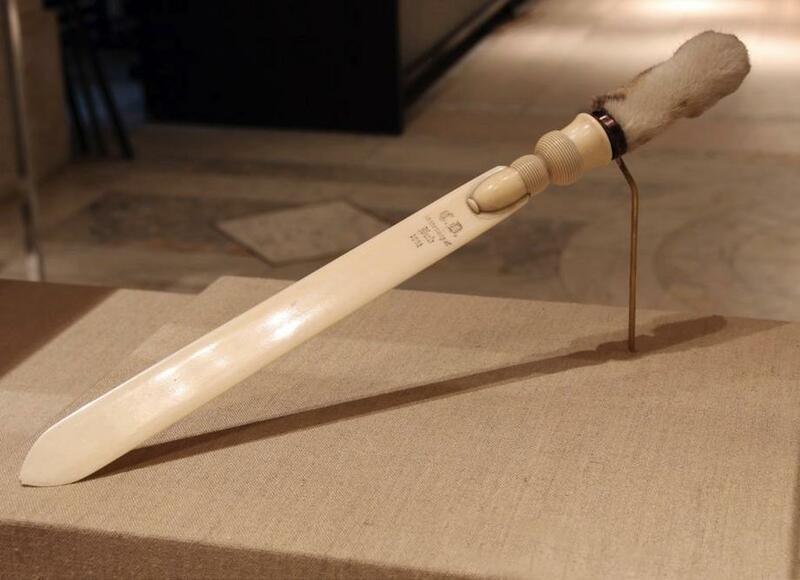 The letter opener is now in the Henry W. and Albert A. Berg Collection of English and American Literature at the New York Public Library.